"Susie Georgiadis, performed a variety of Italian and Brazilian songs, all very different in tone and all beautifully sung. 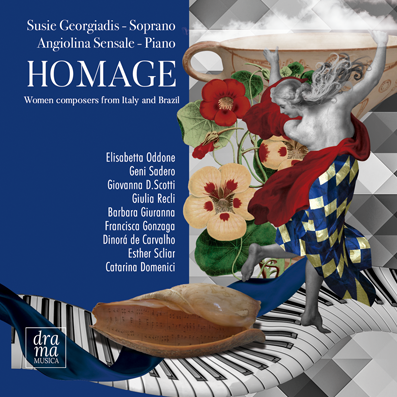 Georgiadis’s voice is warm and controlled and rich with emotion....All in all a tantalising introduction to the world of female composition." "... the music flowing from these composers is of high class quality! A must have CD for those who like to discover good music."